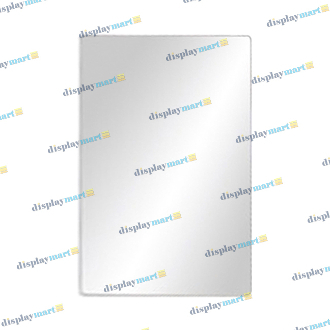 Selling accessories has never been easier than with the help of the plexi grid & slat mirrors found on DisplayMart.com! Available in two sizes, 8"W X 10"H and 10"W X 14"H, these mirrors are perfect for any retailer with gridwall or slatwall panels and displays. Allow your customers to easily see how stunning they look in your eyewear, headwear, or jewelry, and watch your profits grow!